This is is an 4-Prong Dryer Outlet to L6-30R 30Amp 250Volt Locking Female Connector. 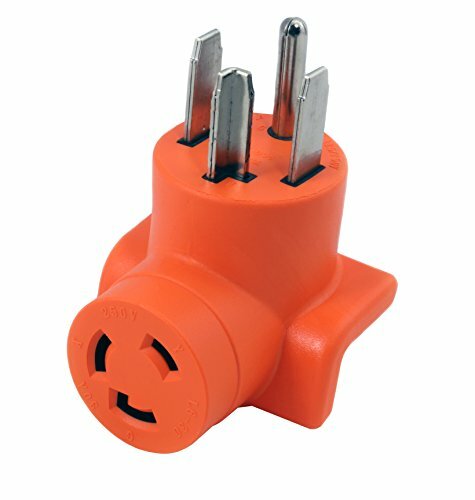 It is NEMA 14-30P 30A 125/250V 4 Prong dryer Male Plug to NEMA L6-30R 30Amp 250Volt Female Connector Adapter. The Max Outlet Power Output is 7500W. Pin and outlet Terminals are Nickel Plated-Anti Copper Rusting.